When it comes to pain management for relieving the pain from nerve root compression, epidural steroid injections have been a mainstay of treatment for over 50 years. The injections allow patients to sleep better, get back to work, play with their kids, and avoid risky surgery. The term epidural referrals to the space around the spinal cord in the spinal canal. “Epi” means around and “dural” refers to the covering of the spinal cord. At each level of the spine, nerve roots come off of the spinal cord and supply sensation and motor function to part of the arm or leg. If something pinches on one of those nerve roots, such as a disc herniation, it can cause pain referred to as either sciatica or radiculopathy. An epidural steroid injection is when cortisone anti-inflammatory medication is placed around the area of this nerve root compression. For what conditions is epidural injection helpful? In the world of pain management, epidural steroid injections are very helpful in relieving the pain experienced when nerve roots are pinched. 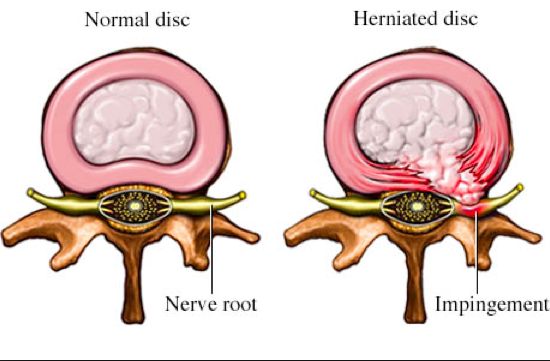 This typically occurs from a disc herniation, whether or not it is in the neck, mid or low back. Additional scenarios where a pinched nerve arises may include spinal stenosis, where arthritis overgrows the bone and soft tissues in the spinal canal, and make compress multiple nerve roots at the same time. The person may also have a synovial cyst pinching on a nerve root or have a fracture. 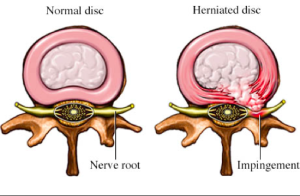 One additional indication is if a person has a degenerative disc problem, and has a tear in the outer part of that disc, it may be very painful. It may spark up inflammation in the adjacent area and if there is a nerve root nearby it may become inflamed and painful. have shown the miss rate for these injections to be 40%. Typically, patients are placed in the prone position, which is on the abdomen. Depending on the Fort Myers pain doctor’s experience and the type of pinched nerve, there are three different ways of performing epidural steroid injections. All three involve numbing up the skin and the soft tissues down towards the injection site. Once accurate positioning is achieved, the doctor places contrast material to ensure satisfaction with needle placement. Then numbing medicine and steroid is injected for pain relief. The second type of epidural injection is called a transforaminal epidural steroid injection (TESI). This involves placing the steroid and numbing medicine closer to where the nerve root exits from the spinal canal, called the neural foramen. 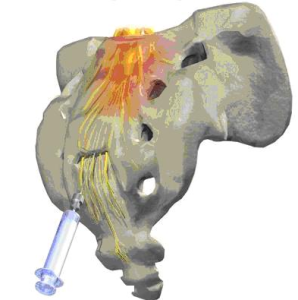 This type of injection has gained tremendous popularity in the lumbar spine over the last decade, while in the cervical spine it is not widely used since the incidence of complications is higher. 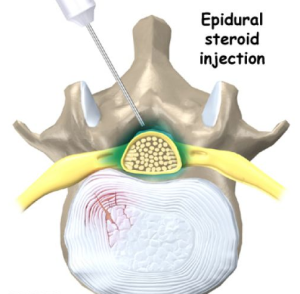 The third type of epidural is called a caudal epidural steroid injection. 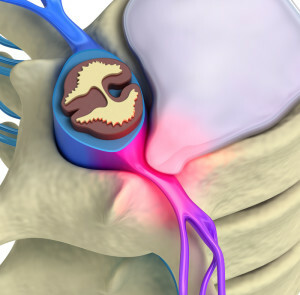 For this procedure, the doctor places the needle at the very bottom of the spine through an area known as sacral hiatus. This allows for a larger amount of steroid medicine be injected as if you decide to treat multiple levels at the same time. This is better in a situation such as with spinal stenosis, where multiple levels of nerve roots are being pinched typically at the same time. Once the procedure is complete, patients are monitored in the recovery area for 30 to 60 minutes make sure vital signs are stable and no allergic reaction occurred. Patients are then allowed to go home. What the outcomes of these injections? There is a reason these procedures have been popular for over 50 years. 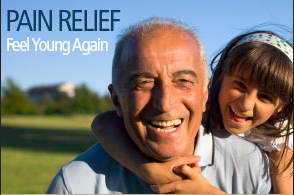 It works very well, typically over 75% of patients experience exceptional pain relief. They are often performed as a series of injections, with three injections over a period of six weeks. That series can be repeated every few months as necessary. Studies range in how well these injections work, but most studies show 75 to 90% effectiveness. Epidural steroid injections are not meant to fix the problem of a pinched nerve, rather, they place soothing medication over the problem area while the body hopefully will desintegrate the piece of disc that is where it is not supposed to be. 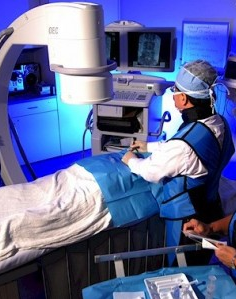 These procedures are low risk and high reward. There is a small risk of infection, bleeding, and nerve injury. The patient should stop blood thinning medications by five to seven days prior to the procedure, ask your pain doctor for the specific timeframe. Most nerve injuries are transient and involve some numbness or motor weakness for a few days. 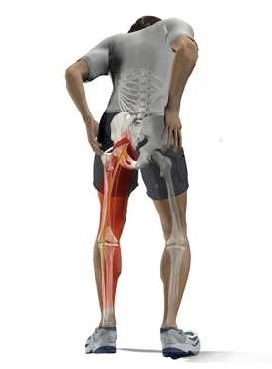 Very rarely, a permanent injury occurs. There is also a chance of transient increases in blood sugar or weight gain or water retention from the steroid use. This typically resolves within a few days. Overall, epidural steroid injections have been excellent procedures for over 50 years. They are often very effective at relieving sciatica and radiculopathy pain, helping patients avoid surgery and getting back to work while helping people sleep better and need less narcotic medications for pain relief. If you or a loved one lives in the greater Fort Myers area and is suffering from sciatica or radiculopathy pain, let Fort Myers pain management help you. Either fill out the form or call (239) 288-0072 to get connected today!